Looking for some mouthwatering appetizer? 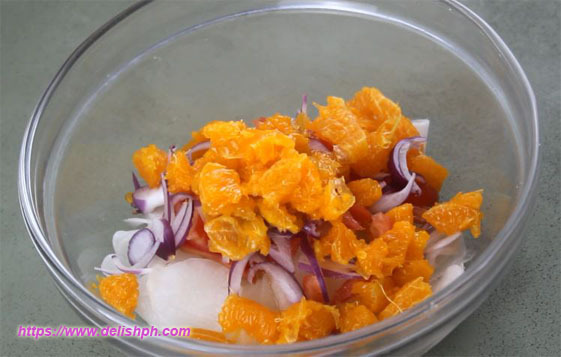 You can try this Ensaladang Labanos with a dash of oranges. 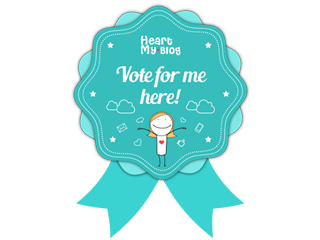 It’s definitely something new for some, but, it is worth a try. 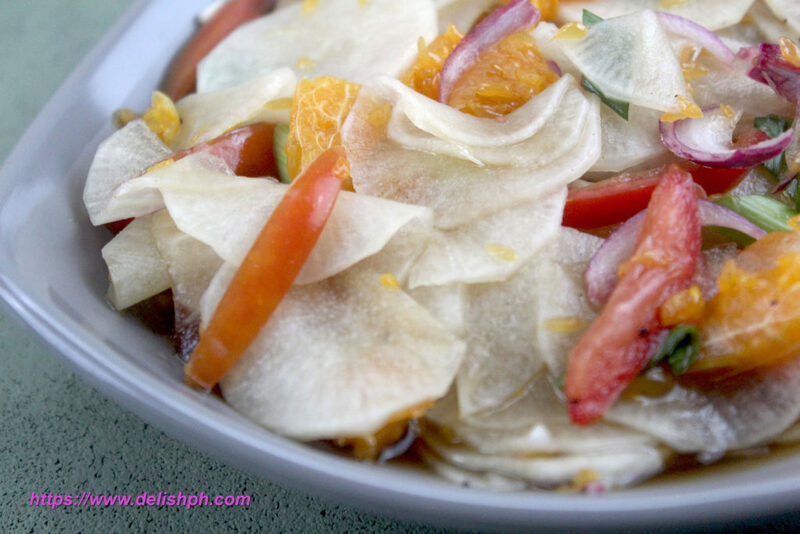 Adding some sweet and sour kick to your ordinary ensaladang labanos will definitely make you want for more. 1. Peel and slice radish thinly. Sprinkle some salt, rub and squeeze. Then rinse with water and drain. 2. Add in the sliced onions, tomatoes, oranges, green onions, vinegar, soy sauce, brown sugar and season with salt and pepper. Give it a good mix. 3. Let it sit for about 15 minutes before serving. I want to add a bit of twist to the usual ensaladang labanos by adding some oranges on it. And I know you will love it too.